Have you heard the news!? Milk Makeup is now 100% vegan, so we knew our next launch had to feature seriously next-level ingredients. That’s why this 4/20 is about to be really lit. Introducing Kush Mascara, a fully vegan volumizing mascara packed with conditioning cannabis oil and thickening heart-shaped fibers. Cannabis oil has become known as a beauty superstar for its versatility and ever-growing list of benefits, and we decided to bring some of that good stuff into your makeup collection. Kush Mascara’s dynamic formula will give your lashes major volume with heart-shaped fibers, while simultaneously conditioning them with cannabis oil. It’s one hit for hiiigh volume. Ever since the inception of Milk Makeup, we wanted to create a product that showcases the amazing properties of cannabis oil. When we started talking about coming out with a fully vegan volumizing mascara with fibers, we knew we couldn’t use beeswax, a common binding component in mascara formulas. Enter: Cannabis oil. Cannabis oil fuses the heart-shaped fibers to your lashes without fallout. It whips the formula into a creamy texture that allows for smoother application on lashes and an easier, tug-free removal. It also provides an additional conditioning benefit. 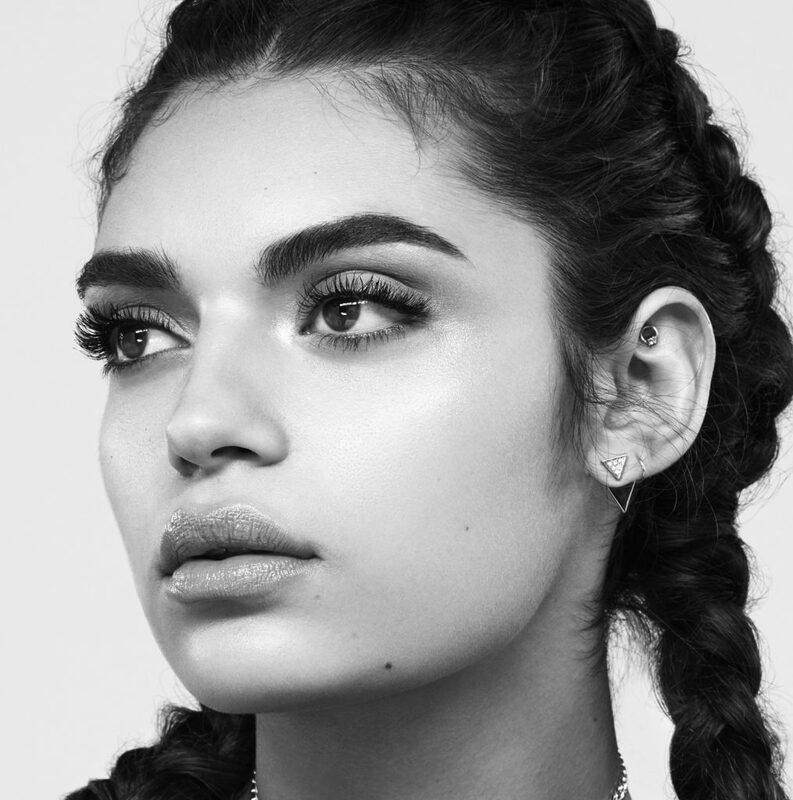 Kush Mascara is the vegan way to get major volume and healthier-looking lashes in one hit. Most fiber mascaras use cylindrical fibers in their formulas, but we crafted ours with unique, hollow heart-shaped fibers. Here’s how they work: Unlike gangly cylindrical fibers that flake and appear spidery on the lashes, heart-shaped fibers fall into place for maximum fullness, no matter how you stack ‘em. Plus, hearts are cute. The cannabis oil whips the formula into a creamy texture and fuses the heart-shaped fibers to lashes for thickness without fallout. The lush cannabis oil also allows the formula fill the hollow heart-shaped fibers for a double dose of volume. The thickening heart-shaped fibers then lock onto the lashes in each direction for long-lasting volume, length, and curl. Are the heart-shaped fibers natural? Yes! 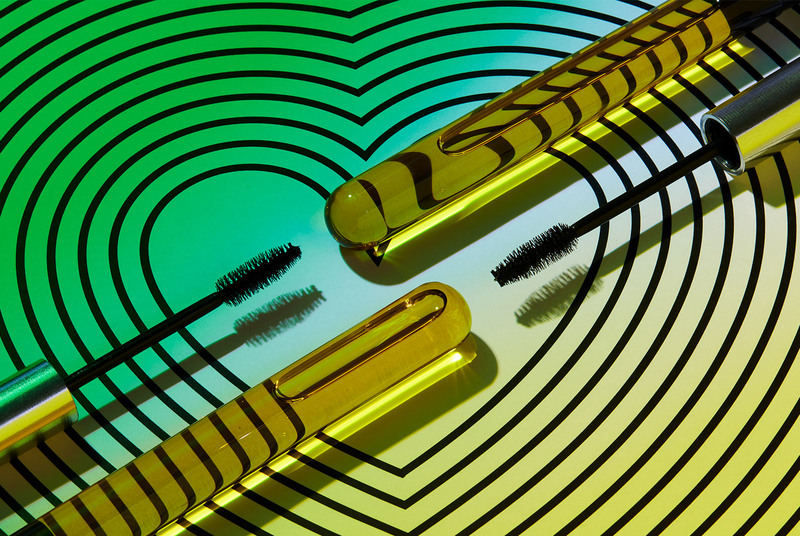 The fibers in our mascara are natural plant-based, heart-shaped microfibers. What’s a Puff Puff Brush? The Puff Puff Brush is Kush Mascara’s tapered, tree-shaped brush that evenly coats and lifts lashes from root to tip. We designed our bristles to criss-cross so that the formula nestles within them instead of sitting on top of it, further guaranteeing each lash to be covered. 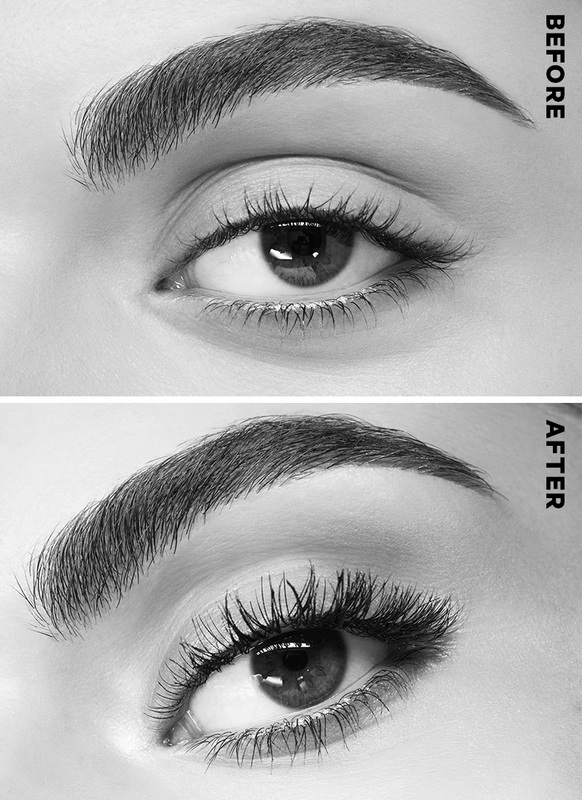 Use the tapered end to reach and define the inner and outer corners and bottom lashes. The Puff Puff Brush paired with the whipped formula makes for a glob-free finish, so don’t be afraid to layer on coats for intense volume! Along with cannabis oil, Kush Mascara is packed with other super nourishing, naturally lit ingredients like poppy seed oil (to help deliver the true black pigment), sunflower seed oil, and cupuacu butter. It’s also cruelty-free, paraben-free, and gluten-free. Kush Mascara is long-lasting and you can build it up throughout the day. The formula will not flake or result in fallout, thanks to the conditioning cannabis oil that keeps it ~smoooth~. Nope! Our cannabis oil is not psychoactive. It doesn’t contain THC, so you won’t get high… but you will have high volume lashes. Yes! It only weighs 10 grams, so take it with you on-the-go. Is it safe for those with sensitive eyes? Can I wear Kush Mascara while wearing contact lenses? Absolutely! It is perfectly safe for use with contact lenses. No, Kush Mascara is not waterproof. How much cannabis oil is included? Kush Mascara is formulated with a low dose of cannabis oil, just enough to whip the formula into a creamy texture and provide conditioning benefits to your lashes. What is the difference between Kush and Ubame Mascara? Kush Mascara is our first-ever high volume mascara packed with heart-shaped volumizing fibers and cannabis oil. Ubame is a light, buildable, 74% natural mascara for subtle definition. It’s formulated with sapphire dust to provide depth and ubame oak charcoal for a hint of tint. If you’re going for intense volume and thickening, Kush is the way to go. If you’re aiming for a more natural everyday look, Ubame all the way. Different looks, different vibes. Try both! 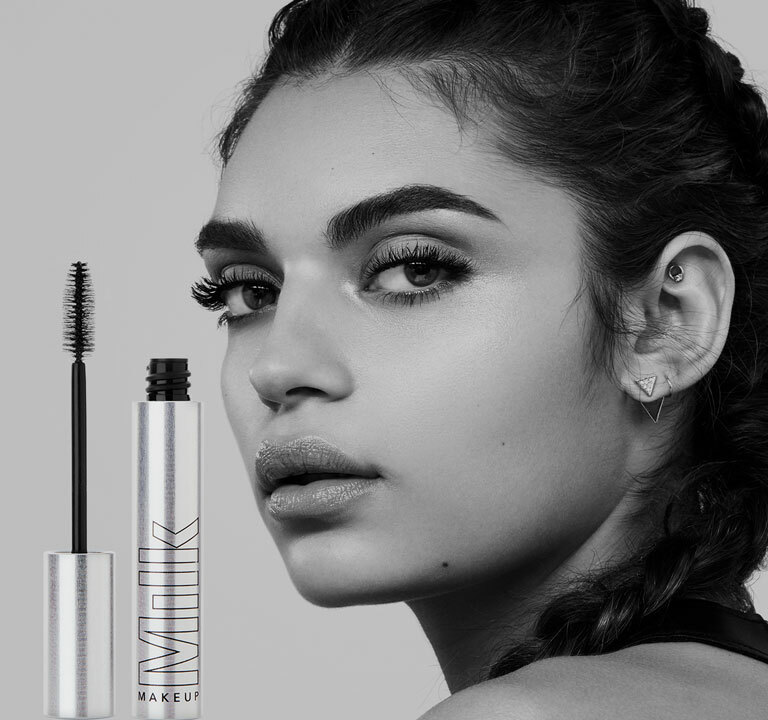 Kush Mascara will be available on 4/20 for $24 on our milkmakeup.com, sephora.com, and in Sephora stores.